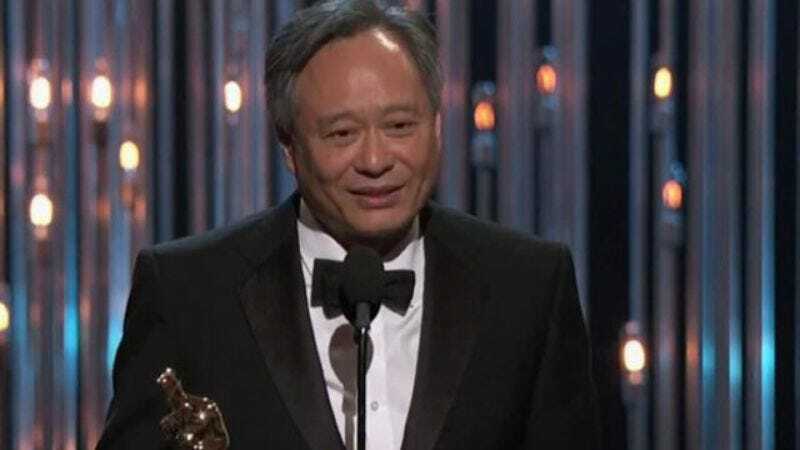 Prolific director Ang Lee may have found his next prestige project: an adaptation of Ben Fountain’s Billy Lynn’s Long Halftime Walk. The 2012 book follows Lynn and the rest of his company as they survive a heated firefight in Iraq. A video of them goes viral, and they become so famous that the Bush administration brings them home for a two-week goodwill tour. The action culminates, as all action should, during a Thanksgiving halftime performance by Destiny’s Child at a Cowboys-Bears game. And if the satire of America’s wartime pageantry doesn’t ensure audiences turn out to the movie, the possibility of seeing Beyoncé—or some lady who looks like Beyoncé—surely will. The book will be adapted by Simon Beaufoy, who won an Oscar for his screenplay for Slumdog Millionaire. If Lee does sign on to direct, it will fulfill the producers’ plans to turn the movie into a black hole from which no Oscar can hope to escape.